(Macao, Apr.5, 2016) – Sands Resorts Cotai Strip Macao and Sands Macao have launched the ultimate dining experience for people who love to indulge at buffets. 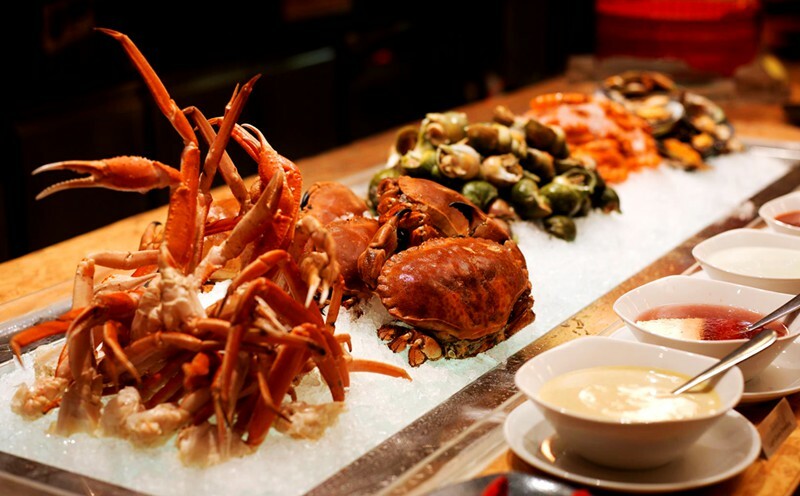 The Sands Resorts Buffet Pass gives access to four extravagant buffet restaurants at The Venetian® Macao, Sands® Cotai Central and Sands® Macao within 24 hours#. Simply follow the official Sands Resorts Macao WeChat account and book a room via the official websites of The Venetian Macao; Conrad Macao, Cotai Central; Holiday Inn Macao, Cotai Central or Sands Macao to become eligible to purchase the mega pass. With buffets covering every meal period, the offer also saves guests up to 40 percent. Priced at just MOP 588* per adult and MOP 298* per child, this is the best deal in town. The promotion is valid until Dec. 31, 2016. From sushi and sashimi to Macanese and Portuguese classics, this one-of-a-kind promotional offer is for dedicated foodies and those who want to try as many new dishes as possible during their stay. With more than enough dishes to satisfy even the most discerning palates, the Sands Resorts Buffet Pass is the best deal in town. Simply follow the official Sands Resorts Macao WeChat account and book a room to become eligible to buy the mega pass. WeChat followers can download the buffet pass card pack and then activate the card pack by using the 12 digit unique card pack code to make a direct room booking at The Venetian Macao; Conrad Macao, Cotai Central; Holiday Inn Macao, Cotai Central or Sands Macao. Once activated, guests can pay for the buffet pass at our specified concierge desks before enjoying Macao’s best dining offer. Photo caption: Sands Resorts Cotai Strip Macao and Sands Macao have launched an incredible offer for followers of the official SandsResortsMacao WeChat account. Available until Dec.31, 2016, the Sands Resorts Buffet Pass gives access to up to four of seven buffet restaurants at The Venetian Macao, Sands Macao and Sands Cotai Central within 24 hours. 1. Follow SandsResortsMacao Wechat account for Card Pack. 2. Book your stay at the Sands Resorts. 3. Enjoy an amazing array of dishes!